It is quite obvious to many believers that the Bible itself is under attack. The Bible was the textbook for America for over 100 years and we produced the greatest generation of scholars, scientists, lawyers, judges, doctors, teachers, and preachers that the world had ever seen! But now, people think they are more sophisticated, and have become "judges" and "critics" of the Bible. Its historicity and accuracy is being challenged by many people, both secularists as well as the religious people. People continue to question the authenticity of the Bible and even the majority of Americans doubt that the Bible IS THE Word of God and that it is inspired of God. SO, WHAT DO WE MEAN BY "INSPIRATION"? Inspiration does NOT refer to the writers, but rather to the writings. 2 Timothy 3:16 says "All Scripture is given by inspiration of God." 2 Peter 1:20-21 insists that the writers were controlled by the Holy Spirit so that what was written was accurate and exactly what God wanted to communicate to us. There is "external evidence" (like manuscripts, historical and archaeological facts, geographical information, etc.) as well as "internal evidence" (what the Bible claims about itself) that affects what we mean by "inspiration." Here is a possible definition: INSPIRATION IS THE ACT OF GOD BY WHICH HE COMMUNICATED HIS WORD IN WRITTEN FORM AND DIRECTLY CONTROLLED THE WRITERS SO THAT WHAT WAS WRITTEN (original autographs) WAS FREE FROM ERROR! 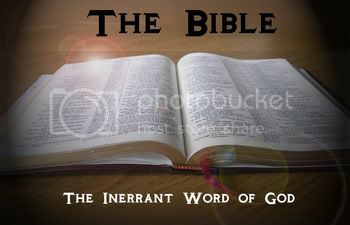 The Bible is not only "inspired of God" - it is also inerrant (without error in the original autographs). It is the most translated and distributed book before the invention of printing (1450 AD) in the history of the world! No other writing is close to its manuscript evidence. Over 5500 Greek manuscripts, 10,000 Latin manuscripts, and over 1000 manuscripts in other languages - all before the invention of printing! Incredible to say the least! Inspiration refers to ALL that was written - not just parts of it. If you can't trust the Bible's historical facts, then how can you trust its moral and spiritual teachings? The Bible is the most amazing book of all history - actually it is a library (like an integrated software system!) of 66 books. The Old Testament has 39 books in the Protestant Bible (exactly the same as the Jewish Bible, the Tanakh, but organized differently in three major sections - the torah, the prophets, and the writings.) The New Testament contains 27 books. The ROMAN Catholic Bible has added some 14 Jewish apocryphal books, but the early church NEVER considered them inspired of God even though some of them do contain valuable history. There have been some modern attempts (Gospel of Thomas, Gospel of Judas, etc.) to add books to the Bible as though they were on the level of the Canon of the Scriptures - but it won't work! These "pseudo-graphic" writings clearly reveal that they are outside the realm of Biblical authority and authenticity. The Bible itself will bring a person salvation Romans 10:17, 2 Timothy 3:14-15, 1 Peter 1:23-25; and give discernment to the believer as to what is right and wrong Hebrews 5:11-14. 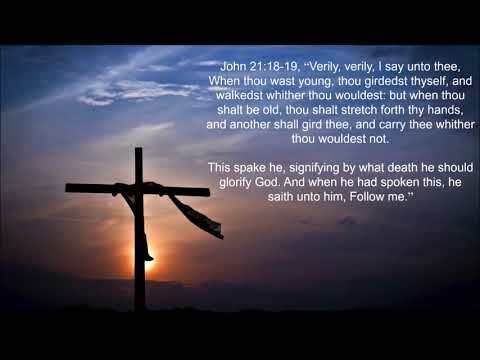 Through the Bible we gain effectiveness in prayer John 15: 7, 1 John 5:14; and we are enabled to live victoriously over sin Psalm 119:9-11, John 15:3, 1 Peter 2:2-3. Through the Bible the true believer can be equipped for every good work 2 Timothy 3:16-17. Next up, is our message, "The Bible: Which Version? ".